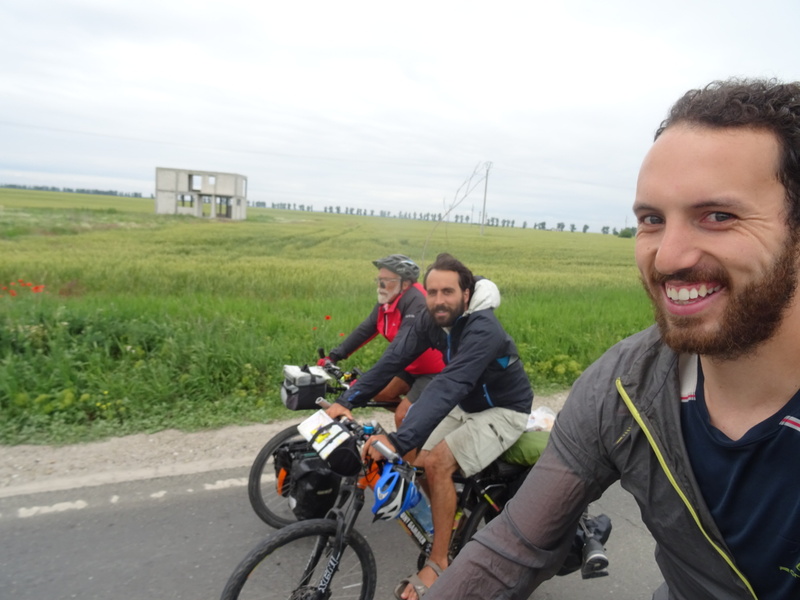 In Bucharest we met up with Endi, the Spanish tourer we travelled with from Vienna to Bratislava. We arranged to travel to the Black Sea together. The first day we travelled quite quickly back down to and along the river. We covered 75 miles. The villages were larger than before and finding a camping spot in the evening was proving difficult. 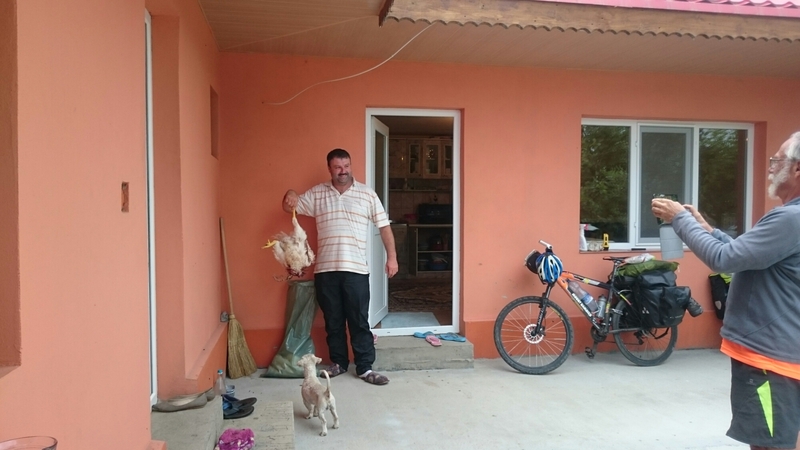 We cycled up some dirt tracks and bumped into a farmer. I pulled out my translated paragraph…. Could we get lucky again!? He welcomed us with open arms into his house. 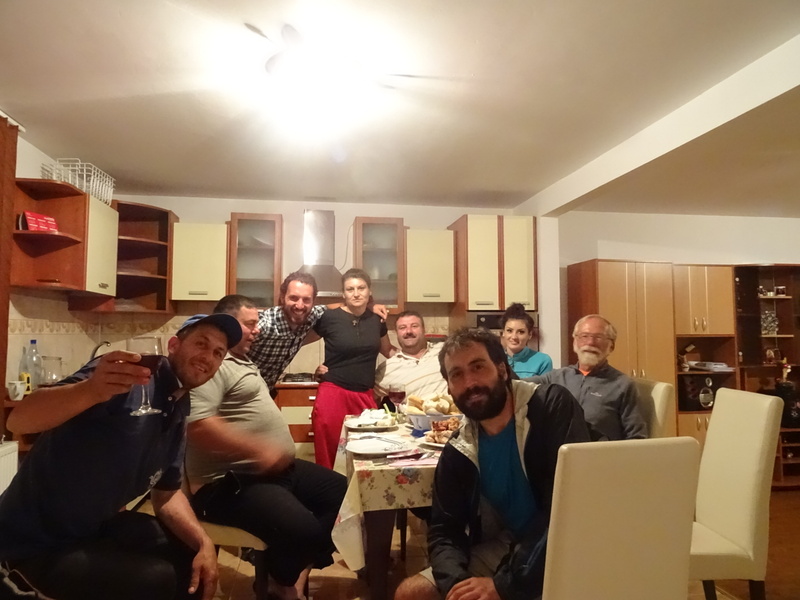 We met his family, friends and they provided us with a feast of food and home made wine. We all ate and drank till about 1.30am before collapsing into bed. We had a truely fantastic evening! Showing us a headless chicken. 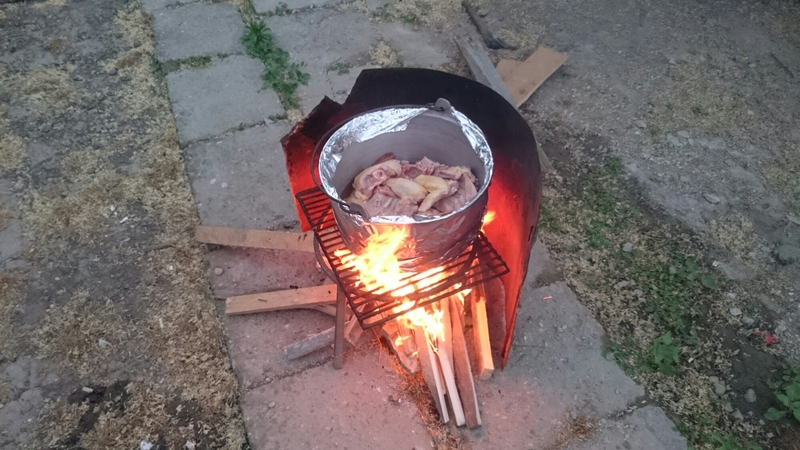 This was then plucket before us and cooked on a fire. 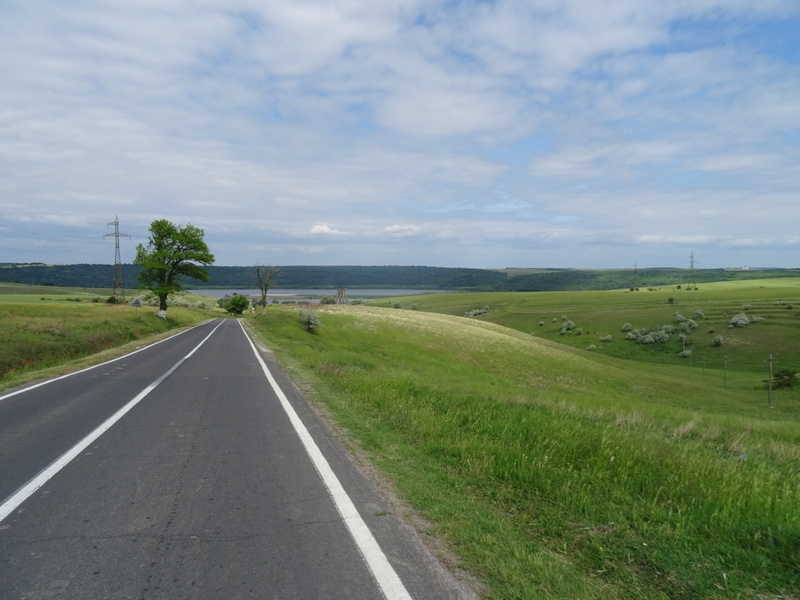 The next morning I woke up horrifically hungover and the days riding was slow and hard. There was one last river crossing. 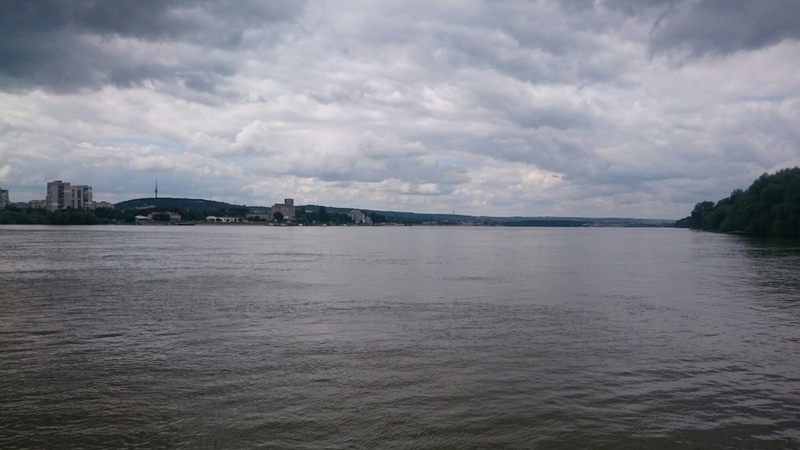 This turned out to be the final time we would see the Danube river. 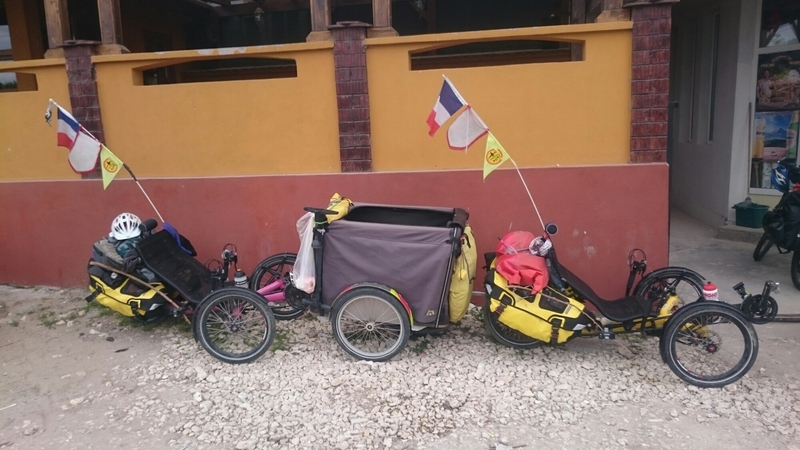 During the day we bumped into 2 French tourers who were going to the Black Sea, they had been travelling since the beginning of March and even had their dog with them in the trailer! 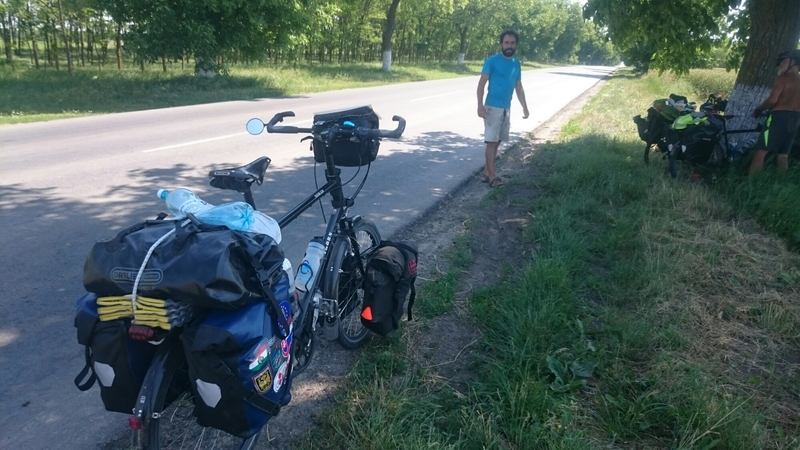 We wild camped 50miles from Constanta, the stage 1 finishing line. 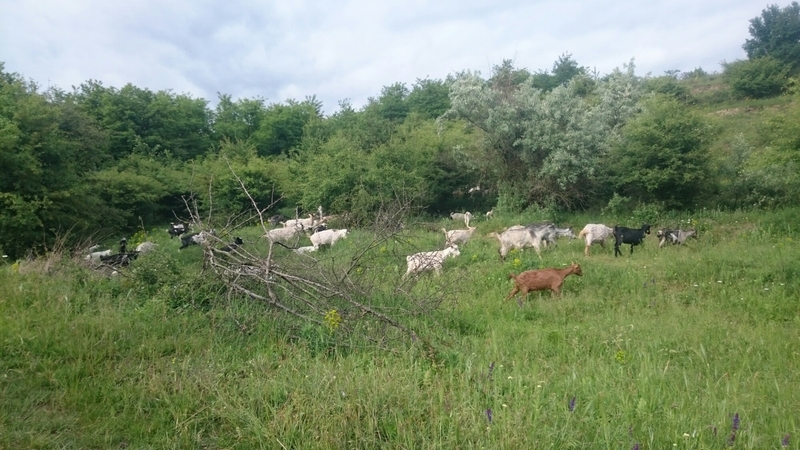 However a herd of goats and a farmer did pass through which was nice. He didn’t seem bothered we were staying here. The next morning we woke up with great anticipation. This was it! The final push. The whole day we hit big rolling hills but it was great fun. My knee has healed and I’m feeling strong. We stopped along the way to buy some honey. Quick stop at the top of one climb. 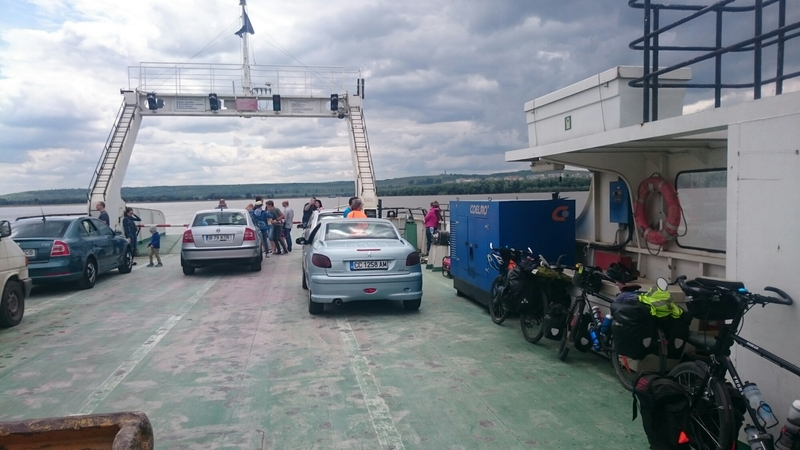 As we entered Constanta the adrenaline really started kicking in and we progressively got faster. When the Black Sea became visible we raced like men possessed to the edge! This was a lot of fun. 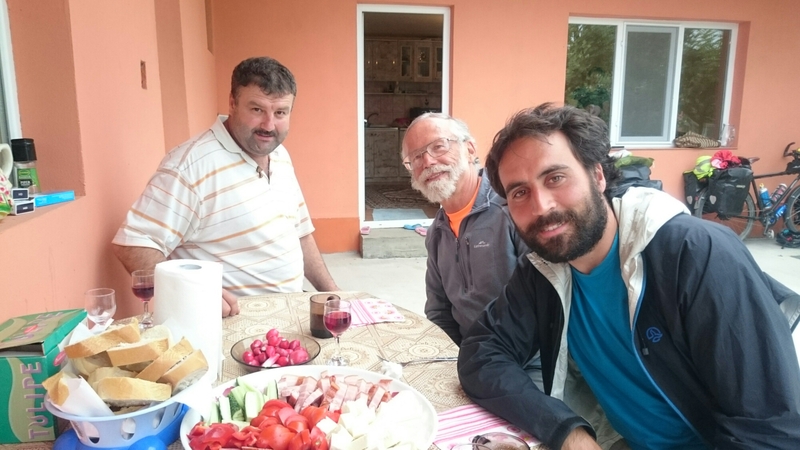 Our journey as a trio now heads south along the coast to Bulgaria and finally into Turkey. We hope to have a rest day at the beach before our final push for Istanbul. This will take about 1 week.